A material which electric current passes through easily. Wires that are covered with rubber. A material that blocks the flow or escape of electric currents. A kind of circuit when batteries are connected negative terminal to positive terminal. A kind of circuit that is created when batteries are connected positive terminal to positive terminal and negative terminal to negative terminal. 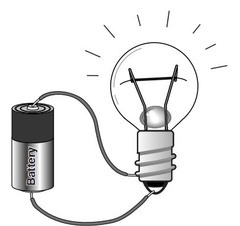 An electric current can only flow through a circuit that is ___________. Electricity is the flow of _____________ around a circuit. The path along which an electric current flows. The electrical component that lights up in a circuit. When there is a break in a circuit, the circuit is __________. The cell is the _______________. The wires are the __________ path. Wires are covered by an ____________. What is a closed circuit? 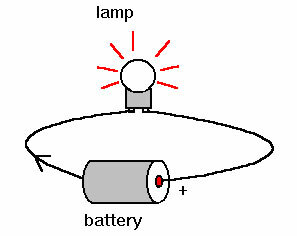 What is an open circuit? At the beginning, the friends are selling these to raise money. Ms. Frizzle uses a balloon to fix her hair. It gives it __________. The Magic School Bus shrinks to investigate the __________. The doorbell didn't work because there was a _____________ circuit. What is an "open" circuit? Wanda used this item to fix the doorbell. The man that flew the kite on the "School House Rock Electricity" video.